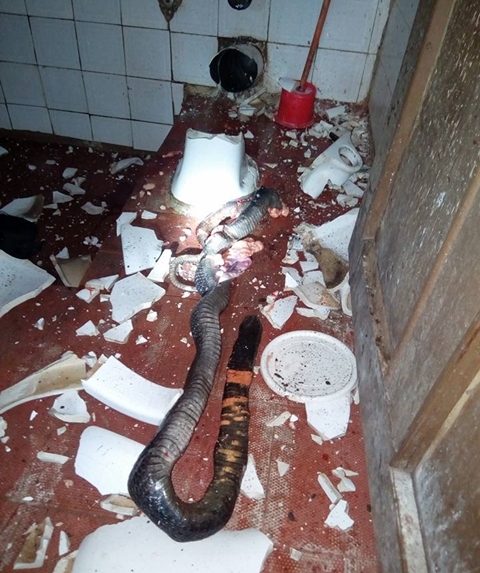 A young man who narrowly escaped being killed by a massive cobra inside his toilet has shared the photos on social media to appreciate God and reveal how lucky he is to be alive. 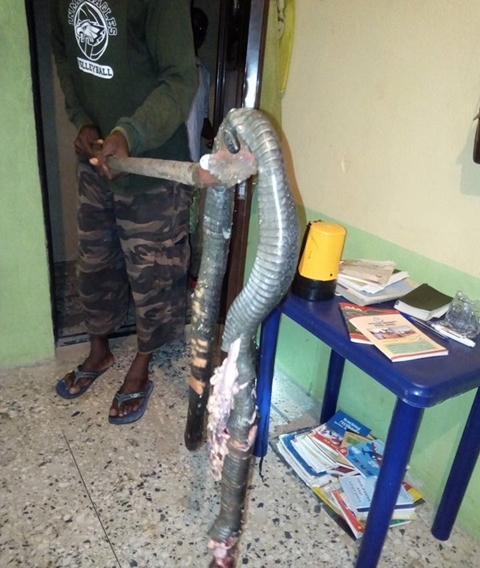 "God's Miracles never end and they are marvellous in our eyes. 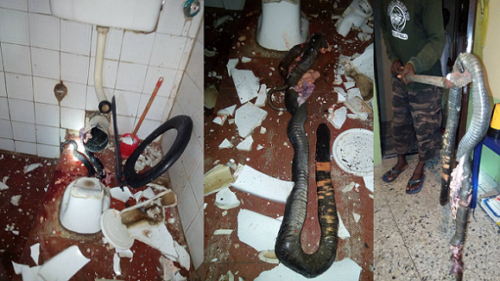 God saved me from a dangerous horrible looking cobra yesterday night in my toilet Seat (WC) here in Abraka, Delta state."